Buying land is less known and involves a higher risk than buying an apartment or a house, which is why it requires more competence and caution. The usual unknown facts are costs of infrastructure linking, building costs and building conditions. That dilemma must be dealt with before buying! The basic question an investor needs to clear at the very beginning is: the size and type of the building, finance on disposal and preferred location. Taking into consideration these three criteria one should start the search for a suitable land. You can look for land via adverts, acquaintances or you can hire an agency. At first sight the best way to start your search seems to be on your own so as to avoid paying the agency commission. A serious agency will, apart from showing around lands, point to the advantages and disadvantages of the lands on offer, advise the client, lead negotiations, organize the sales procedure, engage a lawyer and a notary and eventually deal with the ownership registration and transfer of overheads. Agencies are often evaded because of commissions. However, it is wrong, because they know about this job more than the majority of citizens and as professionals they can save the client time and money. It is true that not all agencies are equally professional and equipped for the job, as well as that not all of them offer the same services. Inquire about how long they have been doing business, visit them personally. Sometimes you will get a picture of the seriousness of the agency by looking at their web page. The agents who are not in the register of agents and work from cafes, you’d better skip – because they will only take your money, and the service will be done poorly or not at all. Building an expensive villa on cheap ground, the investor risks to have a real estate of lower market value than the money invested – in other words, by selling the real estate, the money invested will not be returned. Sometimes it happens that the ground potential remains unused – for example, the bought land on which the house was built is smaller than allowed. In both cases by selling the real estate, the invested money capital won’t be returned – because the market value of the land and building are not adjusted. The rule which is mentioned does not play such an important part if a real estate is bought without the intention of selling it. In any case, before buying it is advisable to know at least approximately the costs of building and fitting of the building in mind. You should add the costs of the project, different fees, linking to the infrastructure and building surveillance. Experience has shown that the value of the land should be around 20% of the whole investment. 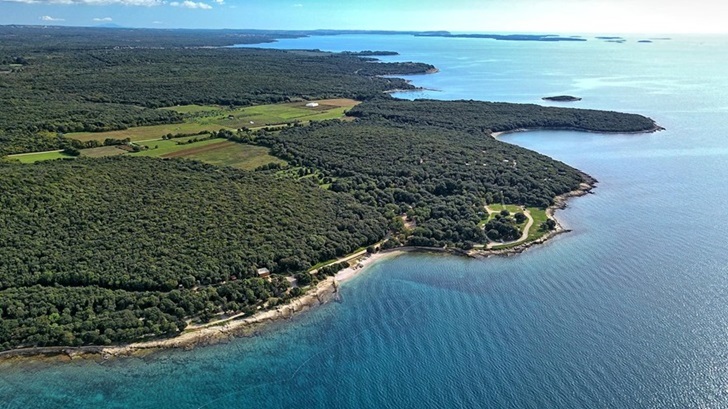 Istria is a small, but varied region whose landscape and architecture always offer beautiful locations and above all pleasant climate throughout the year. 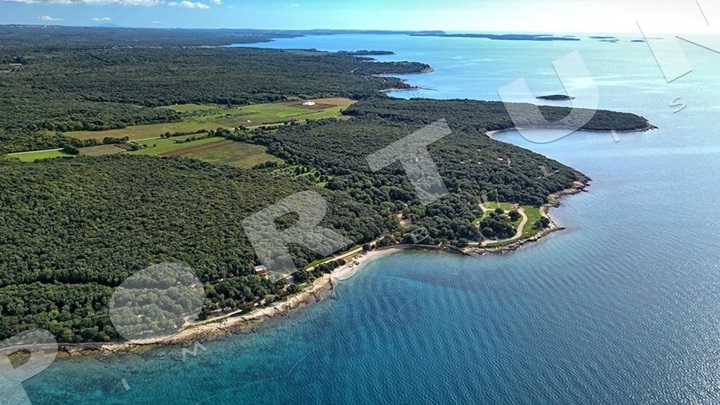 If you want to build a house in a quiet location with a big lot, surrounded by vineyards and olive groves then the inner part of Istria is the right place for you. If you wish to take a walk from your house to the quayside or the centre, then focus your search on one of the little towns in the coastal part of Istria. You can renovate the real estate and furnish it to your own taste but the location cannot be changed afterwards, therefore, devote yourself to the choice of location – our sales adviser knows the town very well so he can suggest you locations according to your needs and possibilities. If you want to build a family house or a holiday villa, you will need a building land of housing purpose, while a holiday house can be built on a tourist point. The purpose of the land, the minimum land area required for building a house, the allowed number of floors, the maximum number of housing units and other parameters of building are defined with regional planning. What is allowed in one town might not be possible in another one since each district and town makes its own regional plan. Therefore, before buying it is essential to study the regional plan and check whether there is a new plan being made. However, all plans have in common the fact that on farmland residential buildings or holiday houses cannot be built. A prefabricated house, a mobile home or a classical house? The advantages of a prefabricated house are the quickness of construction and a transparent price, but the procedure for getting the permit is the same as for a classical house – so in both cases one should buy a land of proper purpose, prepare the projects and obtain the building permit. Mobile homes, campers or similar can be set only inside campsites and tourist villages. If you are spending time in a camper or mobile home set on farmland, you will not be able to check in your stay with which you break several rules.